It is likely that you’ve heard about Sony’s upcoming PS4 exclusive Bloodborne, which debuts on the 24th of March. It is a From Software game, the developers behind the seminal Demon’s Souls, which was another well-received PlayStation-only title. And From Software’s mastermind Hidetaka Miyazaki sure knows how to make a chilling action RPG, as he proved with Demon’s Souls and its successor Dark Souls. The stakes are certainly high for Sony – their recent exclusive The Order: 1886 was something of a disappointment, as it got mediocre reviews and hasn’t sold that many copies to date. And the eagerly awaited Uncharted 4 has been delayed until 2016, meaning that Sony must be eager to see Bloodborne become a critical and commercial success. But the game does appear to live up to its illustrious predecessor Dark Souls according to previews, though. Here are the top things that could make Bloodborne the PS4’s best exclusive yet.
. And previews of the game make it clear that Bloodborne’s combat is as exciting as that of the Dark Soul’s series. It is definitely faster-paced, as the player’s character moves at a higher speed and quick-dodging is necessary to evade the enemies’ speedy attacks. From Software’s previous game Dark Souls was praised for its “show-not-tell” storytelling, and for its dark and menacing medieval fantasy world. And the upcoming Bloodborne will feature a dark and gothic world, with menacing and eerie environments. The game takes place in the city of Yharnam, which features buildings with tall spires, decrepit statues and sinister alleys. 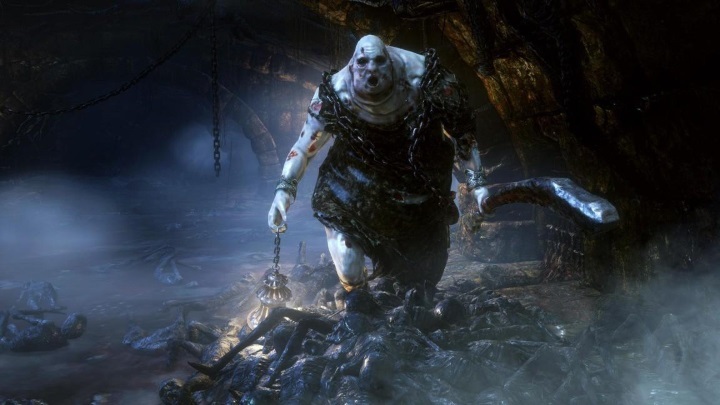 And if you’ve played Dark Souls then you know that From Software’s Japanese designer Hidetaka Miyazaki can surely come up with truly hellish monsters. An example is the chap you see in the image above. 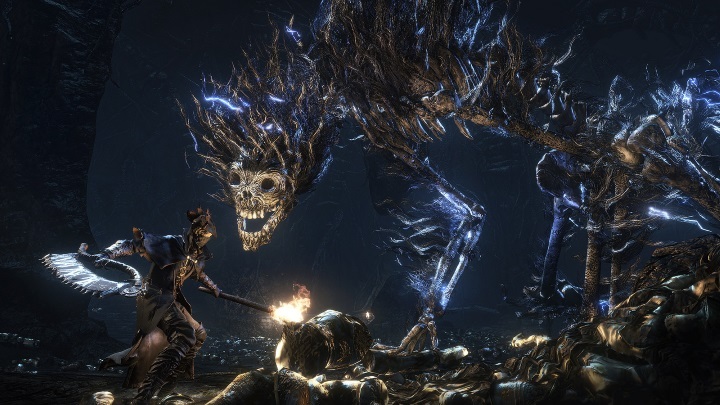 He is likely not much for conversation, but given that Bloodborne will be as hard as From Software’s earlier Dark Souls games, he will be a tough customer in a fight… As a matter of fact the game will offer a “New Game Plus” mode that is reportedly so hard that according to game director Miyazaki his team are “having trouble beating it”. 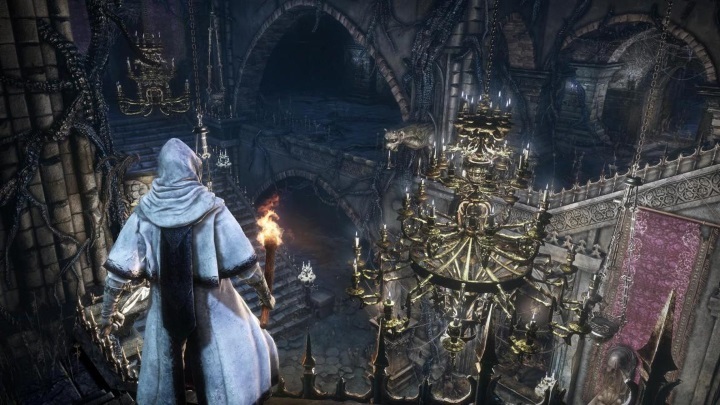 Perhaps Bloodborne’s most novel feature is its “Chalice Dungeons”. These are procedurally generated dungeons, so they will be different every time you play. They are probably similar to the randomly-generated dungeons in a game like Diablo 3. It remains to be seen whether this is little more than a gimmick, though. Procedurally generated dungeons tend to be repetitive and less fun to explore than hand-designed ones, such as the dungeons in a role-playing game such as Skyrim, which were all hand-crafted. But perhaps From Software has found a way to generate these dungeons so that they are consistently interesting to players. Time will tell, but if you want the word from the horse’s mouth, producer Masaaki Yamagiwa explains what these “Chalice Dungeons” are all about in the IGN video above. From Software’s previous game Demon’s Souls offered Player vs Player modes and co-operative modes. Bloodborne offers these modes as well, and like in the earlier Demon’s Souls, players who start a co-operative multiplayer game can be invaded. So it seems multiplayer will be as competitive and vicious as it ever was. Note: Bloodborne will be released on Tuesday the 24th of March in the U.S. and Friday the 27th in the U.K. It is a PlayStation 4 exclusive and it is rated ‘M’ for Mature in the U.S. and PEGI-16 in the U.K.